On a better note, I did finish 3 books last week! After I finish my current read, I’m going to be starting the final push to find candidates for my 2018 Summer Reading Guide (coming in May)! I’m slowly working my way through Tools of Titans by Tim Ferriss, a collection of highlights from interviews he’s done with various stars of their fields. It’s chock full of awesome tidbits, so I thought I’d share the most helpful tip I pick up each week. I just started the ”Wealthy” section. This concept first sunk in with me after reading Sarah Knight’s The Life-Changing Magic of Not Giving a F*ck and is one of the things I try to keep in mind as I figure out how to prioritize my precious non-child rearing time. Not Quindlen’s best work. Full review coming on Thursday. This “thriller” was my March Book of the Month selection! And, man, do I wish I’d skipped it. I kept waiting for something to happen, but it never really did. And, the resolution to the main suspenseful element wasn’t surprising at all. This book needed great writing and social commentary to carry it and it had neither. I skimmed the last 40% or so. 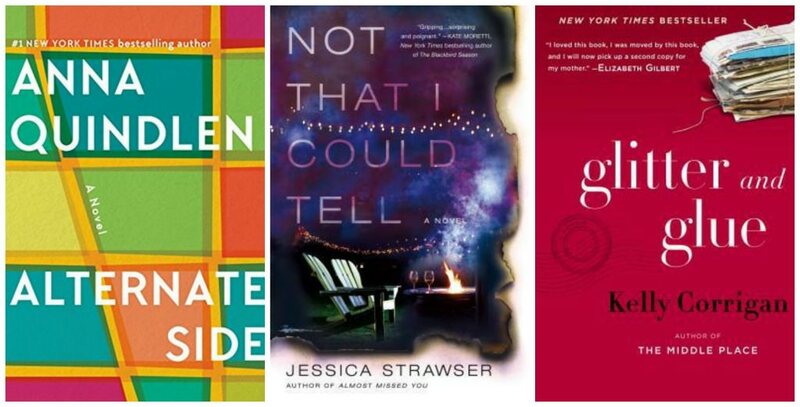 I loved Corrigan’s Tell Me More earlier this year and was excited to delve into her backlist. While I didn’t love Glitter and Glue quite as much as Tell Me More , I did really like it…it has the same trademark style as Tell Me More . Glitter and Glue focuses on Corrigan’s time as a nanny for an Australian family who had just lost their mother, which transformed her outlook on her own mother and mothering in general. Read by Corrigan herself, this was great on audio! 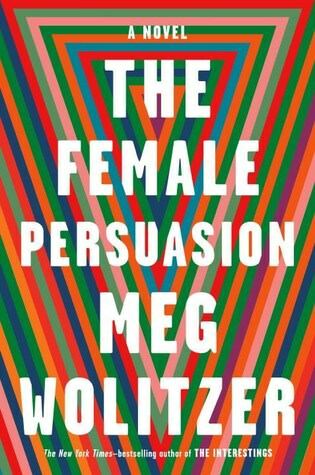 I’m over halfway through and thoroughly enjoying Meg Wolitzer’s (one of my favorite authors) new novel! I’d heard it was kind of a feminist manifesto and it has that element, but it’s more the story of a girl, her friend, and her boyfriend trying to make it in the world. It’s such a treat to read Wolitzer’s writing again and I can’t wait to see how Greer (the main character) turns out. I’m taking a bit of a risk on this novel about a female high school teacher who is named as a suspect in a school shooting while suspended from her teaching job. It hasn’t come recommended by a trusted recommendation source, but the premise looked interest. One Year Ago: I’d just read two underrated gems. Two Years Ago: I was reading a super eye-opening book about what young girls are facing these days. Definitely skip it if you’ve already read her and weren’t a huge fan. I actually just finished Deena Kastor’s memoir (to be released in April) and it was fantastic! You know that feeling when you’ve read a really good book and nothing sounds appealing? That’s where I’m at right now. That sounds like a good one! I love sports memoirs on audio…I’ll add it to the list. And yes – it’s called the reading hangover! I usually try to pick something completely different than what I just read. Oh! 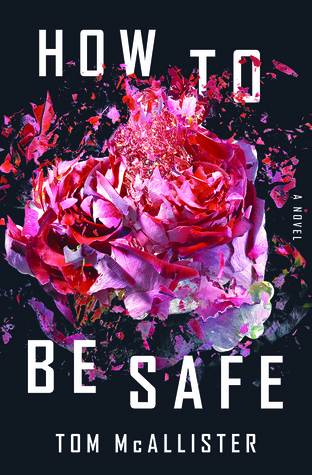 I have How To Be Safe of my TBR list, too. I couldn’t resist the premise since it hits so close to home. Unfortunately, I didn’t get approved for the ARC, so will have to wait until after it’s released. Looking forward to that review of Alternate Side. It should be interesting! I agree with your assessment of Corrigan’s work. I’ve read 3 of her books and Tell Me More was my favorite by far. Well glad that was the first one of hers I read then! Hmmm…well, I have Not That I Could Tell here, but am not in a rush, though it did sound good to me. So sorry about UVA. What a crazy March Madness this has been, right? Totally crazy! lots of big upsets! All of your books are new to me. Sorry about UVA. I don’t follow basketball but did hear about the upset. Come see my week here. Happy reading! Even non basketball fans heard about that upset…it was epic! I am enjoying Not That I Could Tell…and you’re right, not a lot is happening. But it is so good to read something that doesn’t make me want to throw the book…or puke. (Last week I read and didn’t like My Absolute Darling, for one). I also enjoyed Alternate Side. Oh man – I did not like the portion of My Absolute Darling that I read…have no idea why that thing was on so many Best Books of 2017 lists! You got Wolitzer’s novel! Can’t wait to hear what you think. Also looking forward to your Anna Quindlen review. I’m sure I’ll read both novels. I did and it was fantastic! In my top 3 of the year so far! Kind of glad that I skipped BOTM this time; Not That I Could Tell looked like the best one, and it’s been getting a lot of recommendations, but it just didn’t sound all that compelling. Also wanted to mention that I pointed my mom to your site recently! I got her a BOTM subscription as a gift and she’s been trying to figure out how to decide what to get. Your posts on the first of the month are super helpful. How to Be Safe looks interesting. I’m looking forward to your thoughts when you get to it. Thanks so much for pointing your Mom over here and I’m thrilled she’s finding those posts helpful! They’ve been getting more and more traction each month! I’ve heard mixed things about Glitter and Glue. I’ll await your Quindlen review. I read a debut by Rox Nay, Our Little Secret. It was a nice fast read and while I had looked for a little more depth in a couple of places, I enjoyed the read. I found myself casting actors into the roles and could easily see this as a movie. I could feel the tension and mixed signals coupled with obsession and stress that unfortunately seem too prominent in today’s relationships. Looking forward to see how the author’s writing style grows in her next book. Now I’m on to The Last Equation of Isaac Severy. 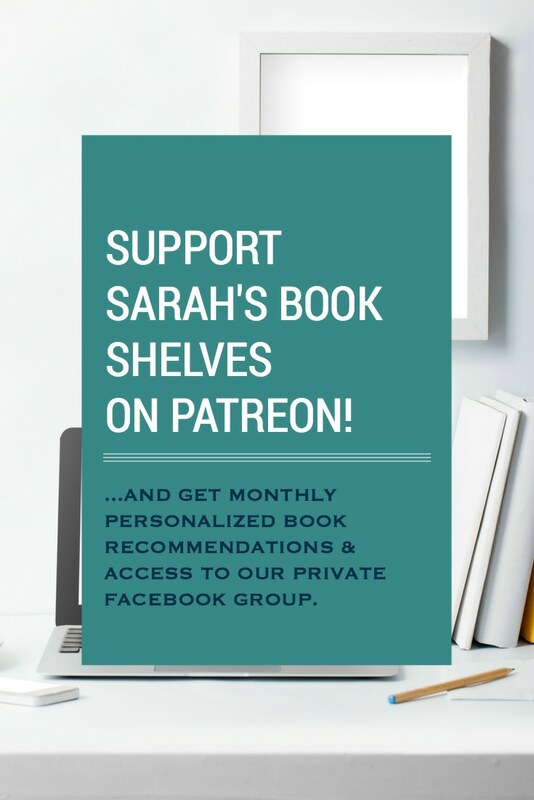 UGH, well, I guess I can now put Alternate Side and Not That I Could Tell on the back burner; thanks for the heads up, Sarah! I’m so glad you’re enjoying The Female Persuasion! Glitter and Glue was NOTHING like I expected, but it was a cute read (if I recall). Here’s what I thought of it! – http://www.shelfnotes.com/2013/11/glitter-and-glue.html – I hadn’t read anything else by her, though, before or since. (This was a BEA ARC.) I’d be interested to know if you think this is up to her normal par! Or if I should read something else to get a better sense of that author. I thought Tell Me More was similarly written, but much better! Try that one!